I sent this message to an "AFK" teammate yesterday, "Your team is not happy with you being afk." I log back in a few hours later and I have three messages from the Admiral....I won't mention which one. He says he hasn't played since the previous day and that he shows his last game was in a Des Moines with 168k damage. 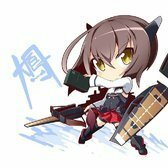 Now today my IJN feline captain goes missing. I hadn't entrusted the cat with a ship yet (you know how cats can be) but I had plenty of space in my Reserve (19) so I was in no hurry. Has anyone else had similar issues recently? No missing cats, no ghost games. Family members, friends, frenemies... I'd suggest he change his password and not tell anyone. This. He might want to check his system for a keylogger too. It's the Russians I tell you, first the election, now people's video game accounts. Is there no end to their mischeif? The guy might want to change his password or make it so that it's not remembered when he logs on. I have a lot of small kids in my house, kicking them off my account was the second best thing to happen to my WTR. Now today my IJN feline captain goes missing. Have you doublechecked your content filters? Filtering out HSF content also filters out the cat I think.